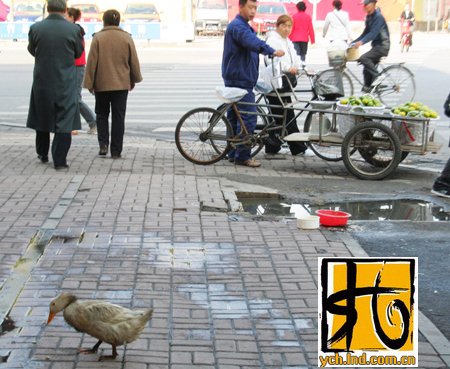 Northland net dispatch on October 9, 2008, by head of north of ave of Shenyang city peace and path of across of road of city seat of government, have two ducks gad. 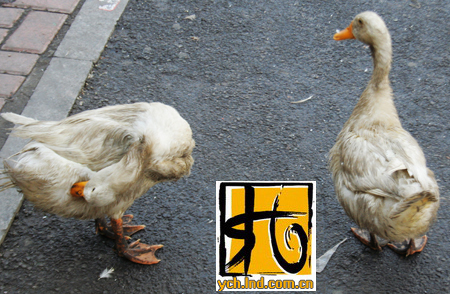 According to insider introduction, these two ducks oneself raised beside the ave have period of time. 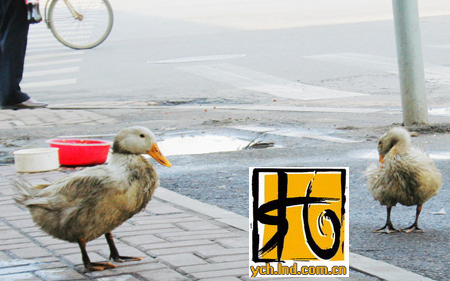 Municipal government ever repeated orders forbids fowl breeds inside city, not only now person raises chicken inside the village inside city, even the ave wayside also raise a duck, honest this somebody was in charge of.